Seriously, how fun is this poster? 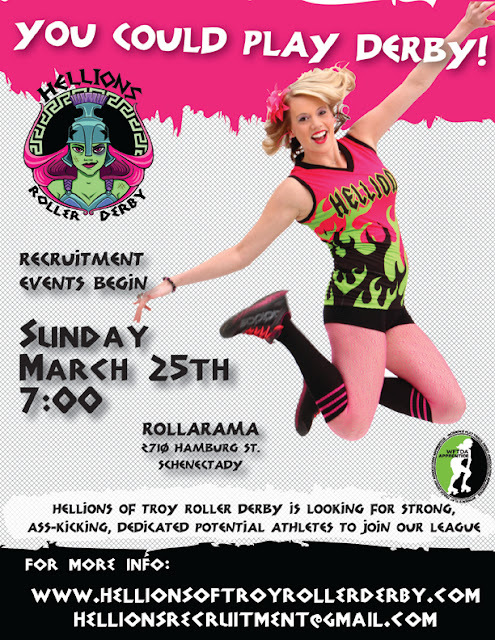 One of our newest skaters, Anya Tailgate had a great time at our recent photoshoot, and we thought it was the perfect image for what it means to be a Hellion. We love fun. 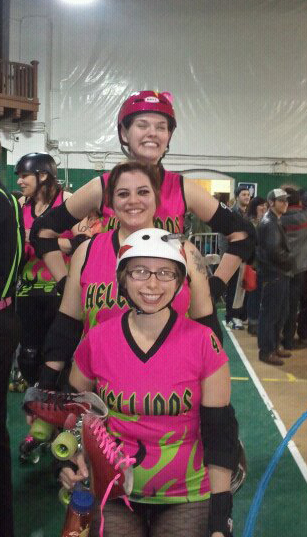 And we're looking for new members to help our fantastic league grow. 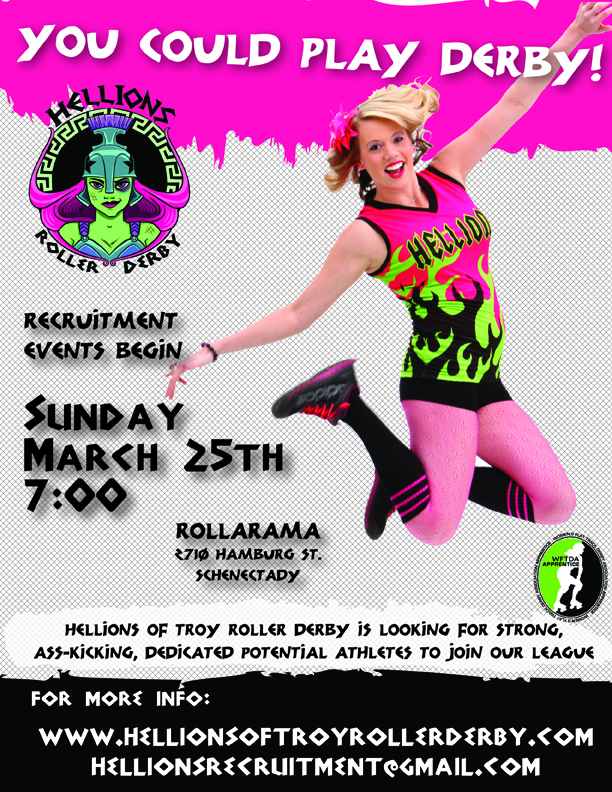 We are recruiting skaters, referees, and volunteers. 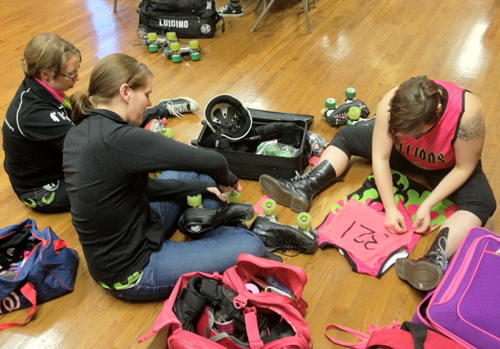 All skaters are female (but if you're a dude, check out Capital District Mens Roller Derby who we love working with!)... but we welcome both men and women to referee and/or volunteer with us. Something about Yahoo! Groups makes me want to just close my internet browser and give up. I attended East Coast Derby Extravaganza in 2010, but not as a skater. I checked out the registration process in the past, but didn't really take a good look at it... because like I said.... Yahoo... So here's a step-by-step how to which I'm writing as I sign up myself! 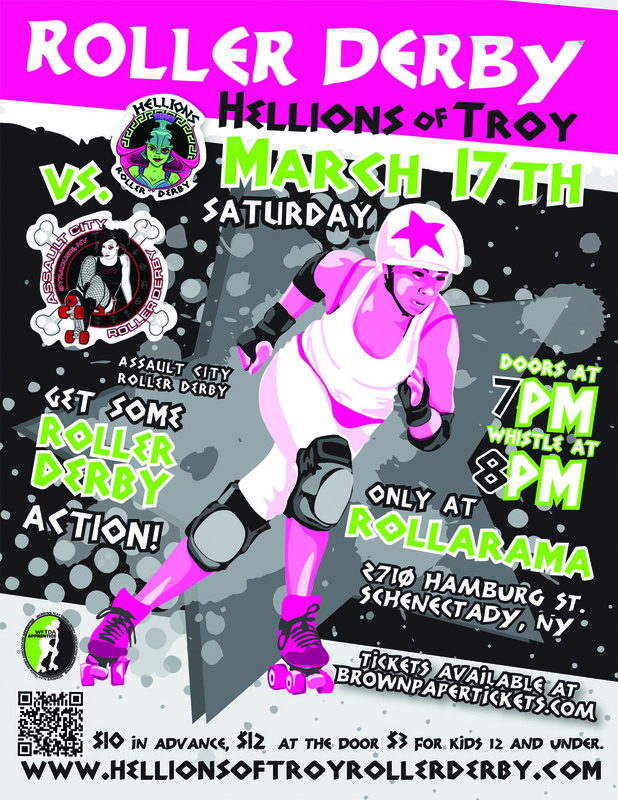 East Coast Derby Extravaganza (ECDX) is a large-scale women's flat track roller derby event featuring a weekend full of competition with teams from across the US and Canada. 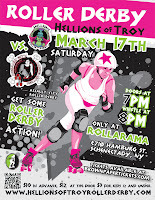 The event is hosted by the Philly Roller Girls. Two rinks will feature full-length, sanctioned WFTDA bouts, while one additional rink will host half-hour challenge bouts between travel teams not participating in WFTDA action, as well as home teams and Extravaganza-special teams composed of players from across the derby world. 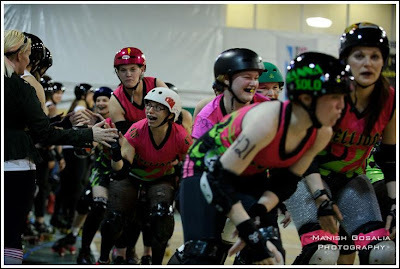 If you're not on the roster of a WFTDA league that plans to participate in a sanctioned bout at ECDX, you can register as an individual skater and sign up for a special compilation team composed of other derby players. Not every challenge team that is created earns a spot at ECDX. Out of all the proposed teams, only a select few are chosen via a lottery. That's why it's a good idea to sign up for a few different teams, so you have a better chance of playing. 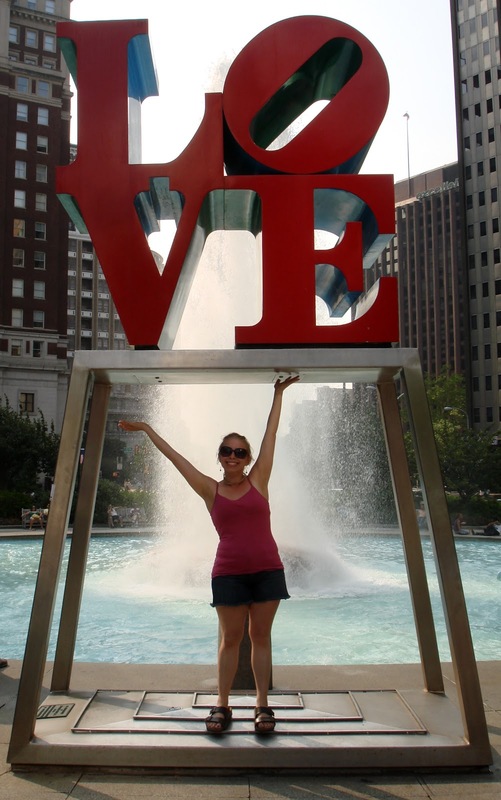 That's where Yahoo Groups come in... so I'm here to walk you through that process. Visit the ECDX registration webpage to read the details on this weekend. 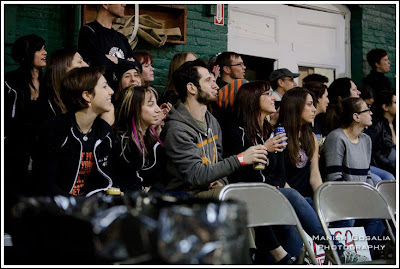 ECDX is hosted by the Philly Roller Girls and takes place in Feasterville, PA.
On the right, click "Register To Skate". It's $40 for Individual Registration. I think the price might change as the event gets closer? I am not sure. I think $40 is a super awesome bargain for three days of bouts and skating! 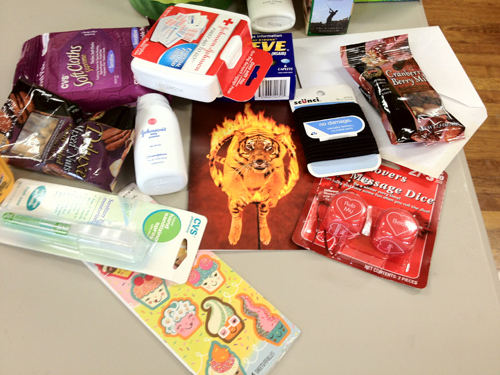 Then you need to fill out your information, including your insurance number. OK. So you've filled all that out and submitted your PayPal payment. SWEET! Now you wanna check out the Challenge Teams! Register for the ecextravaganza Yahoo Group. Joining this group does not mean that you are registered for ECDX! When you are accepted to the group, make sure you check your preferred email settings. Some people post A LOT to the group, and unless you sign up for a digest, you'll get tons of emails. But maybe you like getting tons of emails. I do. The easiest way to view existing teams is to check out the Database, which is on the left side of the website... then make sure you select "Challenge Teams 2012". From here, you'll see a whole bunch of teams that you can sign up for. One of the columns is "Team Yahoo Group", which you'll want to visit and join the group of the team you are interested in participating in. That's right - you have to join the general ECDX Yahoo Group, and the Yahoo Group of all the teams you want to sign up for -- cRaZy! But not really. It's actually pretty decently organized. So you joined the Yahoo Group for ... for example, Angry Birds vs Angry Pigs. As you saw in the ECDX team database, the Pigs team is still looking for players. Again, look for Database on the right menu and you'll be able to Add a Record of your information, usually including your derby name and number. It looks like some teams have different ways of picking their rosters. Some are first come, first serve. Some have a wait list (I mean, we can't ALL be on team Honey Badger!) Some give preference to skaters who have been on that roster in past years. Some might be done via lottery. Here are the Challenge Teams I am hoping to earn a spot on and which I hope get picked in the lottery! Honey Badgers vs. Wolverines as a NAHB obvi! Horde vs. Alliance for the Horde! and Ponies vs Care Bears as a Pony obvi! Take all these instructions with a grain of salt, after all, I am writing this "how to" but it's actually just my first year signing up as a skater! 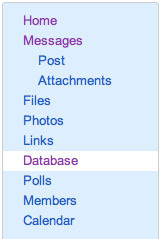 Explore the general ECDX Yahoo Group. You'll learn a lot of information, but you'll probably also have to sift through a bunch of random posts - boo. Remember, the Team Database is your friend!